Icon of the Indecisive by Mina V. Esguerra is the third book in the Interim Goddess of Love trilogy. 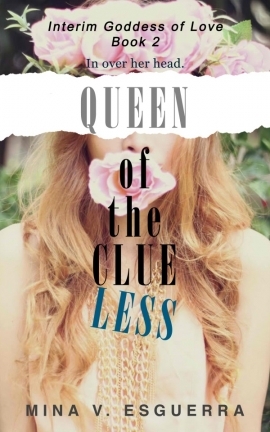 The first two books in the series are Interim Goddess of Love and Queen of the Clueless. Do you need to read the books in order? Yes, unless you want to get really confused. They’re all tied together, with Hannah as the main character, tasked with helping college students with their love problems. Mina compared the series to a TV show, with the first two books as different episodes and Icon of the Indecisive as the season finale. I received an advanced review copy of this for the audio commentary that Mina organized with several other bloggers. Here’s my account of that experience and feel free to download the file over at Mina’s website. It was nice to be back in Ford River College, a setting that I enjoyed reading about because it reminded me of my own college experience. I feel like I keep saying this but since I had fun in college (in spite of not loving my major), I take pleasure in reading anything that takes me back to those years. Even though Hannah and the other characters in the series weren’t ordinary college students, because they had abilities as gods and goddesses, I could still relate to them. To be honest, I was a little worried about Icon of the Indecisive. I felt like we were left hanging at the end of the second book and there were too many questions that needed to be answered in the final book. I shouldn’t have worried because the whole trilogy was wrapped up quite nicely in this installment. In the first two books, readers were able to see glimpses of Hannah’s own love story interspersed with the cases that she needed to solve as interim goddess. I was rooting for Hannah to get her own happy ending – I felt like she deserves to have her own beautiful romance after going through the trouble of comforting and supporting other people through their love-related difficulties. I had no idea where things would go when it came to Hannah’s leading man and I liked not being able to predict what would happen. While I didn’t think the ending was perfect because I thought it could have gone in a different direction, I still found it quite satisfying. 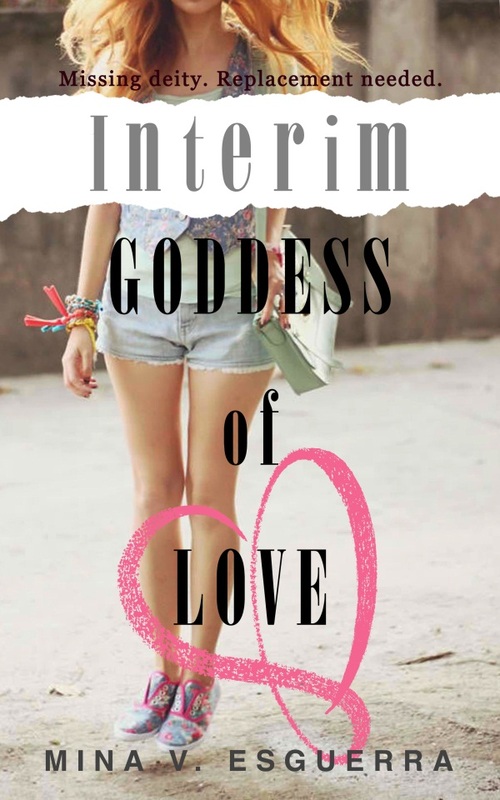 The Interim Goddess of Love trilogy is different from Mina’s usual contemporary romance with main characters in their mid-twenties. The series is young adult, set in college and has a mythology aspect to it. Granted, it’s light on the mythology and doesn’t have as much worldbuilding as other fantasy novels that I’m used to. Still, I think it’s a good idea for an author to branch out and try writing something different. In this case, I think it worked well because romance is still a big element of this series, something that it has in common with the author’s previous work. Like all of Mina’s other books, Icon of the Indecisive was a quick read for me. Thank goodness it didn’t take long for this one to get published so the story was still quite fresh in my mind and I didn’t have to reread the first two. You’re pretty lucky if you haven’t started on the series and you’re curious about it, because now you can read all of them in one go. Recommended for fans of romantic novellas, readers who want something light and fun, and anyone interested in giving Filipino fiction a try. All three covers were designed by Tania Arpa using photographer/blogger Rhea Bue’s photos. Aren’t they lovely? I like that the covers feature a Filipino fashion blogger and how all the photos give off a college vibe that represent the series well. I love the matching covers too. I was going to say I really wish that you could buy hard copy versions of the books in the U.S, but a quick peek at Amazon says I CAN! So… I’ll be buying some books soon. Yep, you can order them because these are international editions. 🙂 Let me know when you get the chance to read them. I think it’s great that you’re reading Mina’s books. I really should read this series! I’ve been intrigued ever since you first mentioned it on your blog. It certainly sounds like an awesome series – plus now that they’re all out, I don’t have to wait between books! So I needed to finish this series? I’ve only read the first one. Are you asking if you need to finish the series before listening to the audio commentary? If that’s the question, you can listen to the discussion of the first book and then stop when the discussion for the second one starts.